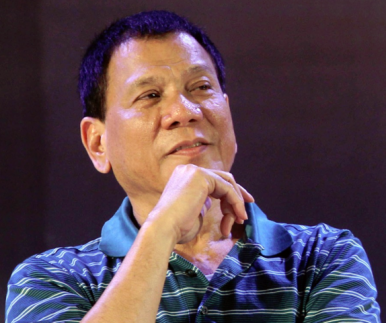 A closer look at how the Philippine president is impacting his country’s economic prospects. Since Philippine President Rodrigo Duterte entered office on June 30, he has both enthralled and appalled the world with his controversial antics and statements. So, how far do Duterte’s words matter? Quite a lot, it would seem. Foreign investors have been retreating out of the Philippine’s stock market, ostensibly reacting to his list of unpredictable statements ranging from the South China to insults directed at U.S. President Barack Obama. Foreign funds have pulled an estimated $58 million from local equities after the President Duterte called Obama a “son of a whore” after being criticized on Duterte’s harsh anti-drug campaign. Earlier this month, U.S. credit ratings agency Standard and Poor had threatened to downgrade the Philippine’s credit rating, citing diminished stability and unpredictability in his policymaking, while referencing Duterte’s policy pronouncements on foreign policy and national security. The Philippine’s current credit rating currently stands at BBB/A-2, with a stable outlook which indicates satisfactory capacity to meet its financial obligations but adverse economic conditions may lead to a weakened capacity. A lower credit rating make the cost of servicing debt more expensive. Depending on how Duterte’s administration plans to finance his lofty economic growth policies, this might prove crucial. To investors, Duterte’s incendiary rhetoric and hardline social order policies raise questions about his governing ability and by extension, his ability to steer one of Asia’s most promising economies. With an average annual growth rate of 6 percent during the Benigno Aquino years, the Philippines was one of the fastest growing economies in the world. However, Duterte threatens to take the wind out of the economy’s sails. Financial markets are a reflection of an investor’s confidence in the economy, and by extension, the political leadership of that country. The increasing convergence of politics and the economy have revealed that political uncertainty is a major hurdle, especially for investors and financial actors. Even moderate amounts of policy uncertainty can act as a deterrent on investments. According to the European Chamber of Commerce in the Philippines, several companies that had intended to establish operations to the Philippines are adopting a ‘wait and see’ attitude, because of the uncertain political climate. Nevertheless, it would be unfair to place the blame solely on Duterte, given how complex and inter-twined economies are today. Philippine officials have argued that the less than encouraging performance in Philippine’s markets is a reaction to speculation surrounding U.S. federal interest rates. The Philippines is one of Asia’s most active issuers of U.S. dollar-denominated bond and is largely seen as a proxy for Treasury bonds. Decreasing investments might very well be due to investors limiting exposure to a possible rise in interest rates. Other sources of concern including slowing growth rates, due in part to the stagnating remittances, one of the key drivers of Philippine growth. Regardless, Philippine officials are quick to point out that the nation’s fundamentals are strong. For one, a weaker currency will boost the value of two key drivers of the Philippine’s economy, namely money repatriation and outsourcing revenue. A weaker currency would mean more money is repatriated due to conversion rates, possibly leading to higher domestic consumption. Outsourcing revenue may also increase as labor becomes relatively cheaper. The Duterte administration is hopeful that beyond its tough stance on crime, its economic policies will yet spur foreign investment. Despite his unbridled tongue, Duterte has a proven track record of reforming the economy. When he was mayor at Davao, his anti-crime campaign was credited with transforming the region, creating conditions for businesses and investments. Davao’s regional economy grew by 6.6 percent on average, higher than the country’s overall economic growth rate of 6.3 percent. Businesses and investors are banking on this track record to play out on the national level, as Duterte takes on the national economy. Already, Duterte has warned the country’s telecoms to speed up internet connections or run the risk of losing its protected status to foreign companies, evidence of his determination to overhaul the economy. His pledge to prioritize infrastructure was welcomed by the business community. All in all, nine infrastructure projects worth 171.14 billion pesos have apparently been approved by Duterte. Key projects include a 75 billion peso contract to upgrade Ninoy Aquino International Airport, the main gateway for visitors to the Philippines, and a bus system that connects business districts and the airport. This is expected to unleash a lot of growth and suppressed demand in the long run, as Philippine looks to upgrade its economy. Even as critics rail against Duterte’s controversial methods, businesses have not seen their bottom line significantly affected. Duterte is reportedly gaining popularity among the business community for policies that can, ideally, engineer an economic boom. Philippine newspaper Philstar published an article featuring prominent business leaders expressing support for Duterte’s campaigns and their bullish outlook on the economy. Jollibee Foods Corp, the largest fast-food chain in the Philippines is looking to expand while the nation’s largest bank by loans, BDO Unibank Inc, plans to open 50 new branches by 2016. If his first 100 days as President is anything to go by, President Duterte certainly has reserved himself a spot in the record books as one of the theatrical leaders in history. Only time will tell, however, what legacy he will leave on the Philippines. For now, ASEAN can only wait and hope for the best. Clearly, policies and technical fundamentals drive economic growth, but so do politicians and their tongues. Will Duterte's crass and unpredictable style impact the Philippine economy?